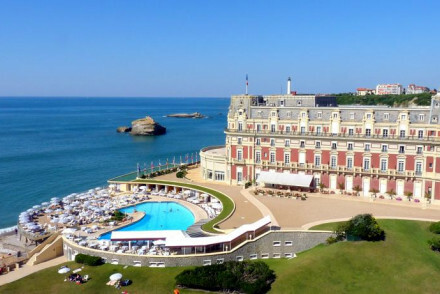 Even if you've never heard of it before, the name Biarritz makes it sound upmarket. And it is in its way. This town really took off as a glamorous seaside resort in the mid 19th Century and spent the Belle Epoque and Art Deco eras being lavished with attention and architecture. 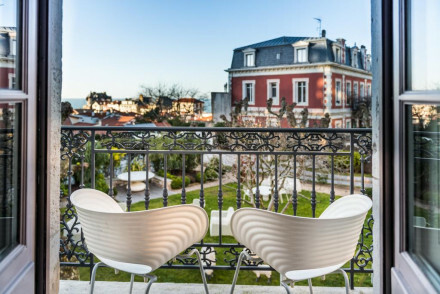 The best places to stay in Biarritz have evolved from simply offering large, grand seafront piles. You'll now find chic B&Bs and small boutique style hotels catering for a very discerning audience. Being 15 minutes from the Spanish border means Spanish flavours have infiltrated the cuisine - and the culture. And this is a fascinating town for a mini break. But the fact that Biarritz also has some of Europe's best waves means that today it's also on the to-do list of most surfers. So it's not just beautiful people who adorn these lovely beaches. Biarritz hasn't lost all her gentility and you'll still find old fashioned elegance in her old spas offering their famous seawater treatments. Or in the graceful decor of many cafes, restaurants and hotels. French spa and beauty experts highly recommend being pummeled, massaged and soaked into submission here; and some of the best places to stay in Biarritz have top notch spas open to visitors and day guests. Famous for its coastline, Biarritz has a beach to suit everyone. The Grand Plage (main beach), is known for its long, hollow waves, but can get pretty crowded - which is perfect if you want to do some people watching! If you're interested in finding out more about this town's history visit the Musée Historique de Biarritz, in what was once a grand Anglican church. At the other end of town are the impressive domes of the Russian Orthodox Church. And in the middle is the Sainte-Eugenie church, which has an crypt which is also an excellent exhibition space. If you're travelling with your kids you might like to spend an afternoon in the Cite de l'Ocean, a wave shaped marine museum, and its partner aquarium, Musée de la Mer. They may also be impressed by a trip to the lighthouse at the north-east end of town. It's called the Phare de Biarritz, and offers amazing views of the coastline. Our recommendations for the best places to stay in Biarritz offers a wide range with something for everyone; from five star luxury close to the beach to a cheap and cheerful countryhouse B&B just out of town. Hotel de Silhouette is the perfect place if you like things clean, modern and close to the action. The area around the 20 room hotel has recently morphed from scruffy into tres chic. Right by the market this is also a great location if you want to be near funky cafes and bars. 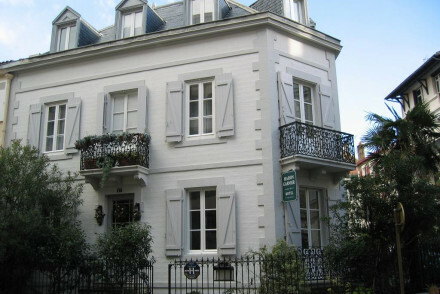 Maison Garnier is another townhouse hotel with a charming mix of classic and contemporary. Its location is perfect, just minutes from the beach, but close to the evening action! If you're travelling with your family the Edouard VII should be ideal. Right in the centre of town, this 19th Century mansion totally looks the part. But inside it's welcoming rather than fussy - lots of creams and whites. Don't miss breakfast on the terrace. With rooms starting from under £70 a night this is also an excellent option for people on a budget. 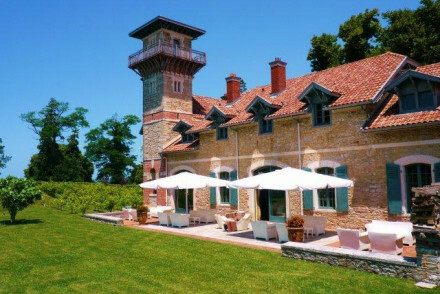 Chateau de Clair de Lune is just out of town and is ideal for families, with its expansive grounds and outdoor pool. The Hotel du Palais is a grand hotel with an enviable location overlooking the Bay of Biscay and the Grand Plage. Interiors are opulent, there's an enormous spa, and there's excellent dining options too. 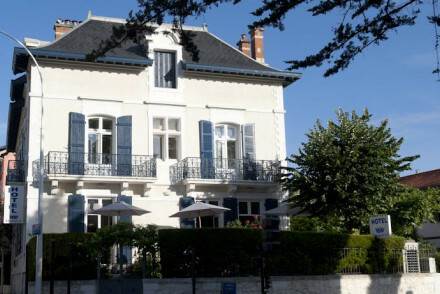 Le Beaumanoir offers just eight gorgeous rooms and suites, on the outskirts of town. As well as sumptuous interiors there's a Dom Perignon Bar, and airport transfers courtesy of the hotel's Rolls-Royce. 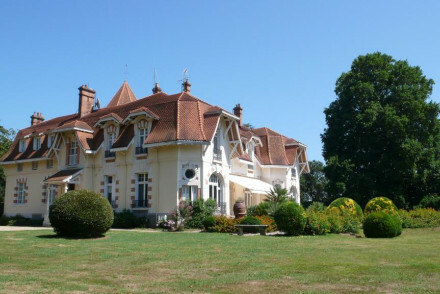 Fly to Biarritz Airport - just 5km south east of the city with a range of connections across Europe. Alternatively catch a train to Biarritz with trains running regularly to Paris amongst other destinations. Best time to visit - Biarritz is popular year round but the best months are May to October. Weather peaks in August with average temperatures in the mid twenties celsius. Still not sure which is the hotel for you? Alternatively widen your search and check out all our recommendations in the Basque Country, or the Spanish Basque country across the border.